Parisi Youth Sports Performance is recognized as the country's premiere athletic performance enhancement program for youth athletics. 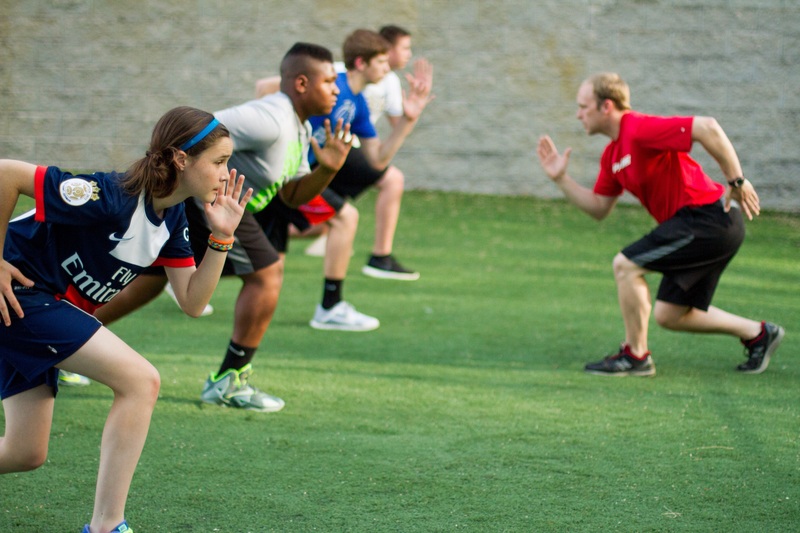 Using techniques that have produced over 190 NFL draft picks, our specially trained performance coaches deliver a positive training experience that improves speed of movement and strength in character regardless of ability or economic status. Science has proven that ages 7 to 11 are the most critical years in a child’s life for motor skill development. Jump Start's fun and friendly environment utilizes the most up to date research to build your young athlete's physical foundation. Jump Starts signature training methods improve self esteem, speed and strength. Group A1-Athletes placed at this level will acquire basic speed specific motor skill development and conditioning. This is traditionally the youngest group in our program, participants in this group typically range in age from seven to nine years old. Group A2- Athletes placed at this level still need continued focus on speed specific motor skill development, but are demonstrating the required technique and coach ability for this level. The typical age range for this group is nine to 12 years old. Many experts view the ages of 12 to 18 as the most ideal ages for developing speed, strength and power over an athlete’ s entire lifetime. This program was developed using cutting edge techniques to produce maximum improvements in athletic performance.